Get ready for the summer of a lifetime. Camping, hiking, exploring the roads less travelled-all these activities and more are open to you when you have a Jeep Wrangler. You can take on the world in this classic Jeep adventure vehicle. Get back into nature with the removable full-framed metal or half-metal doors and multiple top options that can also be removed. When you choose the Jeep Wrangler JK edition you'll never have to worry about getting muddy when off-roading again. Simply hose out the interior thanks to a wash-out interior with drain plugs and removable carpet. Keep your valuables secure in the lockable console bin and store more in the storage bin under the rear cargo mat that also has a lift-out tray for smaller items like the bolts to the hardtop. 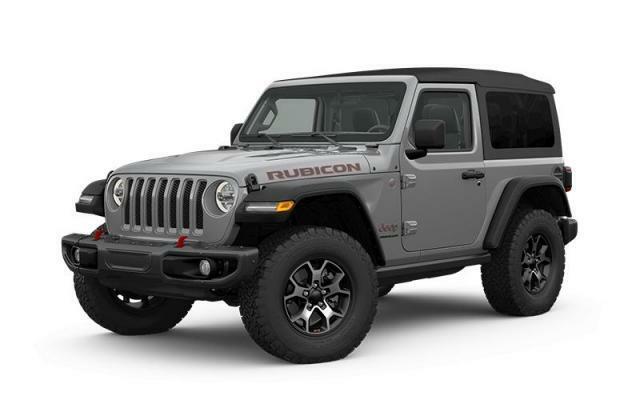 Named the "4x4 of the Decade" by Four Wheeler Magazine, the Jeep Wrangler JK Rubicon edition was engineered to deliver superior off-road performance to make your summers more fun. It's also Trail Rated for exceptional performance in traction, ground clearance, manoeuvrability, articulation, and water fording. The Trail Rated designation also comes with Command-Trac, a 2-speed, shift-on-the-fly transfer case that offers part-time 4x4 capability and comes standard on the Sport and Sahara models. Come to Orleans Dodge when you're looking for a Jeep Wrangler for sale in Ottawa. We've got a great selection of Jeep Wrangler SUVs for sale in Ottawa and won't be happy until we've helped you find the one that's absolutely perfect for you. Our goal is to see you smiling from the driver's seat of your dream car, truck or SUV, with as little fuss as possible, so we're always standing by to set you up with a test drive of whatever catches your eye and answer all the questions you have about these great vehicles. Once you've found the vehicle that gets you excited to get behind the wheel, stop by our Finance Department and speak to our financial experts. We'll help you get the auto loan you need at the best interest rates possible in no time at all. Start planning your summer adventures now, with Orleans Dodge.